With the jazz flute literature being as scarce as it is, UNLOCK is a welcome addition. Methodically structured and covering a lot of diverse topics, it provides a solid learning framework for jazz fundamentals, many advanced concepts, and flute technique. 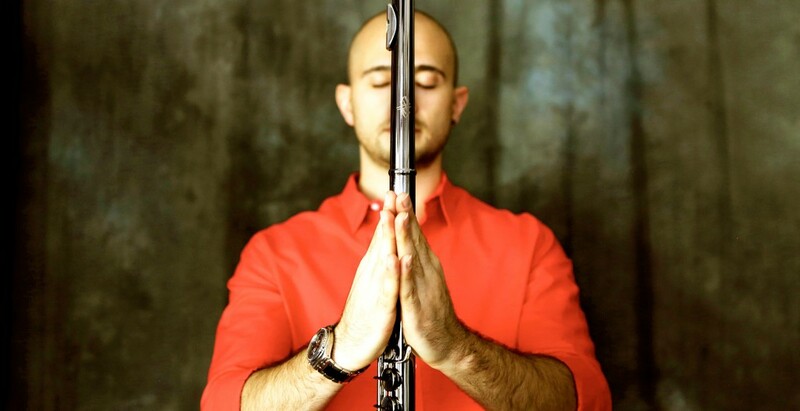 To begin with, the book is purposely devoid of articulation markings, stylistic implications, tone exercises or any other flute-only concepts, making the material as beneficial to flutists as to other musicians that play a C instrument. It will be useful to jazz students seeking a more comprehensive study method but also to classical musicians and flutists looking to explore improvisation and jazz, as it provides a plethora of written-out study material. Özçagatay throws the reader in at the deep end right from the outset; you will need the necessary skills to survive. As the author states: “In UNLOCK, you will take your knowledge from the beginner and intermediate levels to the next step. As such, this book assumes you have a basic working knowledge of music theory, harmony, and performance.” I would recommend that, for purposes of jazz study, students supplement this volume with a book dedicated solely to jazz theory (e.g. The Jazz Theory Book by Mark Levine), to have a fuller understanding of the harmonic and melodic material in UNLOCK. Those specifically interested in jazz flute technique should look into books that lean more in this direction and provide exercises specific to flute and jazz flute in particular (e.g. James Newton‘s Daily Focus for the Flute). UNLOCK starts off with basic harmonic concepts of modes, approach tones, and chord structures, followed by jazz licks and guidance on improvisation. The second part of the book contains a large number of technical exercises — diatonic exercises, arpeggios, rhythmic variations, chromatic and diminished concepts, as well as other studies. Sarpay‘s section on approach tones covers an extremely useful concept when speaking about jazz and bebop vocabulary, and he provides not only many melodic ideas to illustrate this, but also explains different approaches one can take to use this method in creating an individual and unique set of variations. Approach tones are covered in quite a bit of detail, providing students far more on this topic than usual. Another real gem of the book lies in the section on chord structures. By introducing the concept of classifying notes as fundamentals or available tensions, the material provides a beginning jazz musician a set of color options within the chord. Even more importantly, it also opens up the beginning of concepts of stretching out, allowing oneself the freedom to choose notes that don’t necessarily “belong”, as well as polytonality. The idea of polytonality is also evident in Sarpay’s section on minor chord structures, where the same melodic structures contain both harmonic and melodic minors and imply different harmonic possibilities. While certainly opening up the potential for a wider and more sophisticated harmonic and melodic vocabulary, this notion is for any musician, first and foremost, liberating. 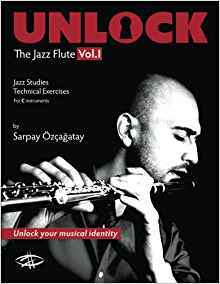 Kudos to Özçagatay for putting together a broad selection of material for jazz and classical students alike. Students should find UNLOCK at the same time encouraging, stimulating, challenging, quite technical, and dense. 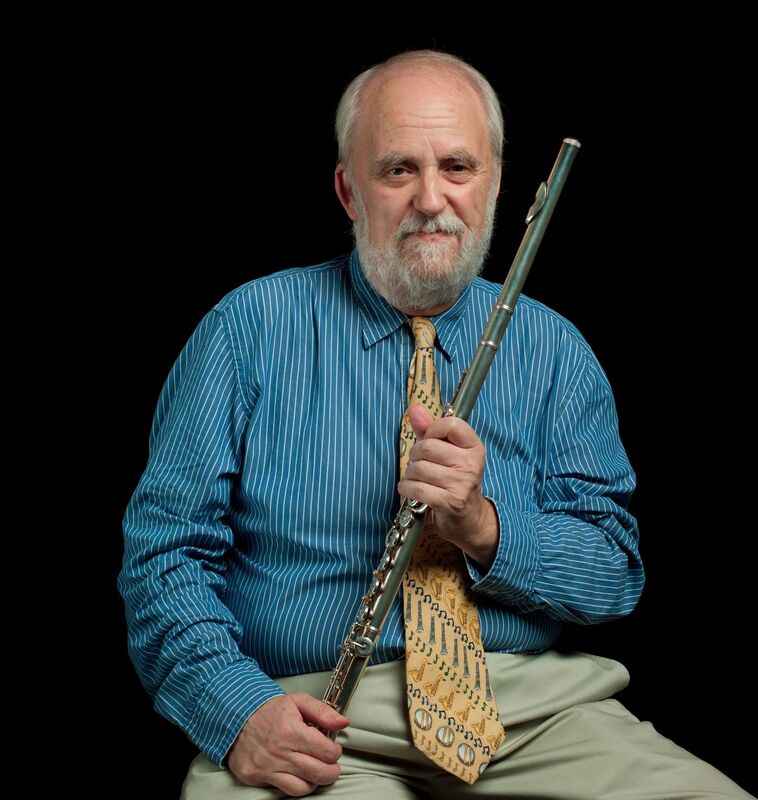 It provides a plethora of material to work with while, at the same time, giving those genuinely interested in flute and jazz reasons to seek out more, and complement this study with other materials dealing with more specific segments of jazz and flute study. A native of Zagreb, Croatia, Damjan Krajacic holds a Master of Music degree from the California State University, Los Angeles in Afro-Latin Music, where he studied charanga, jazz, Brazilian and classical flute with the world-renowned flutist Danilo Lozano in addition to studying jazz flute with the award-winning flutist and composer James Newton. 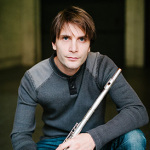 With soon to be 8 CD releases under his name, Damjan is a seasoned artist with a visionary compositional and stylistic approach that seamlessly combines various musical styles and influences.